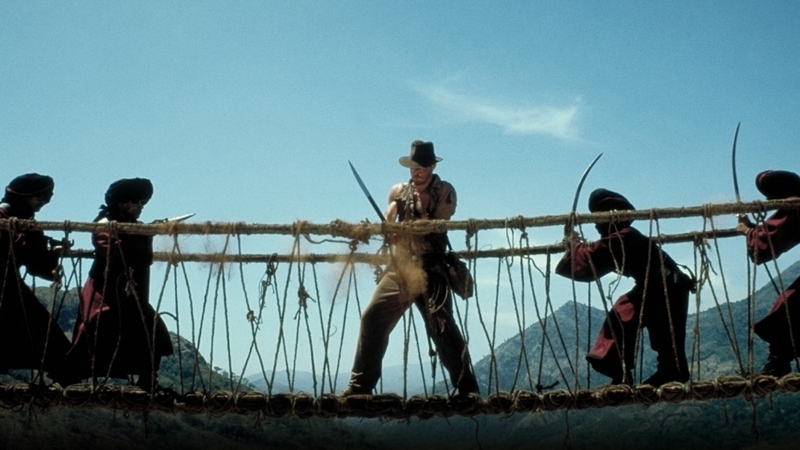 Richard Donner and Joel Silver wanted the action in this film to be so realistic that in pre-production they hired stunt coordinator, Bobby Bass, to design all the action and 3 martial arts advisors, Cedric Adams, Dennis Newsome, and Rorion Gracie to oversee the fights and the training of the actors and stunt performers. 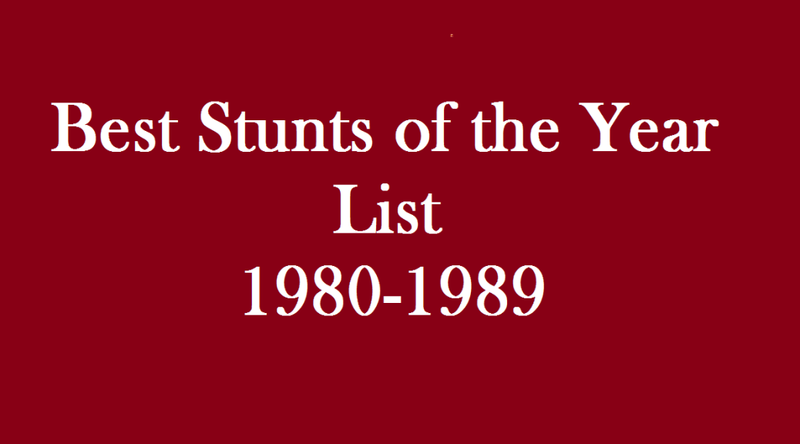 I’d like to add at this time that the film was also dedicated to legendary stuntman, Dar Robinson, although he did not die during any of the stunts in this film, he was killed executing a motorcycle stunt for the movie, Million Dollar Mystery. 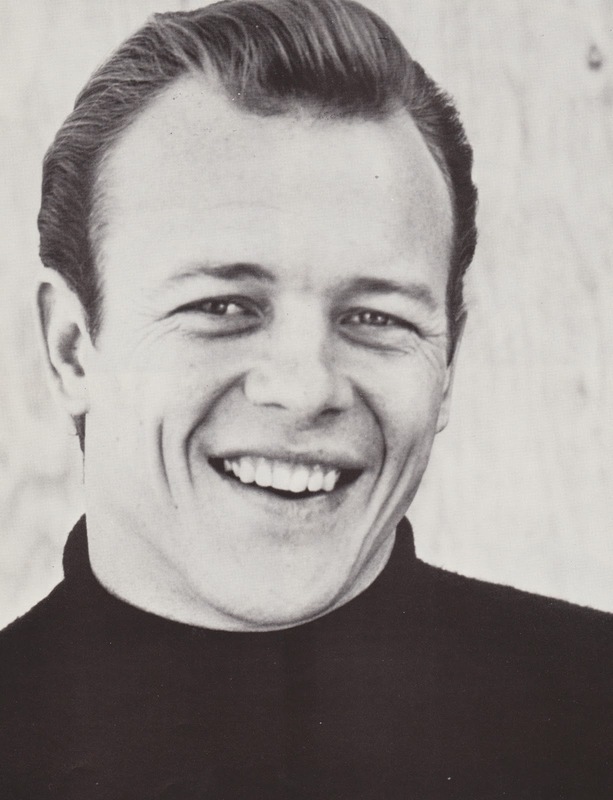 He trained actress, Jackie Swanson for the airbag jump at the beginning of the film. She jumped 35 feet backwards into an airbag. 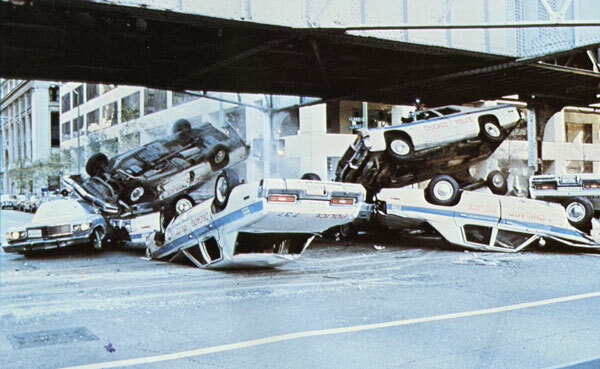 The stunt was done using an airbag covered with a life-size painting of the driveway and cars, which, like a foreground miniature, visually blends into the real scene. Thus, the editor was able to hold the shot until just as she makes contact with the airbag, for greater realism. 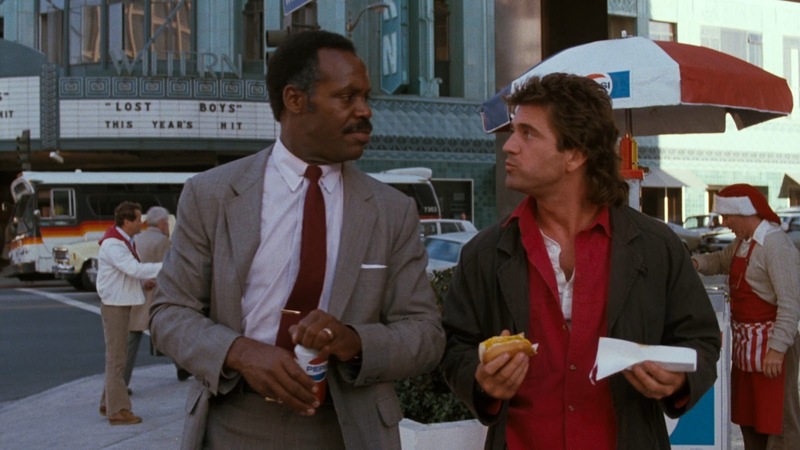 There was a second airbag jump, when Martin Riggs handcuffs himself to a guy on a building who is threatening to jump. 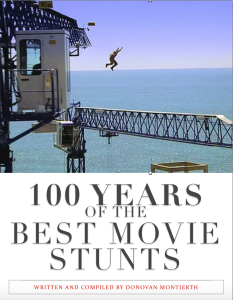 The two stuntmen jumped together but once in the air the handcuffs disconnect so you can tell they weren’t really handcuffed together. 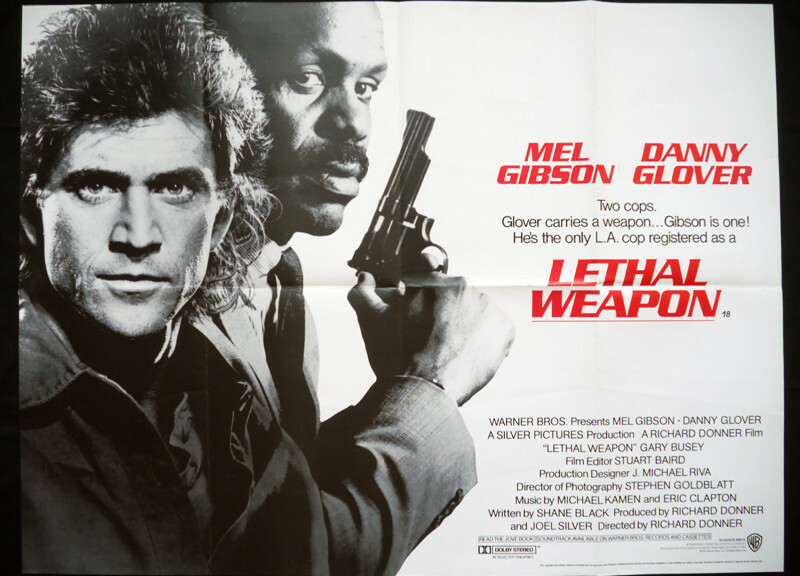 A little movie goof as when Riggs and the man get off the airbag they are clearly handcuffed together again. 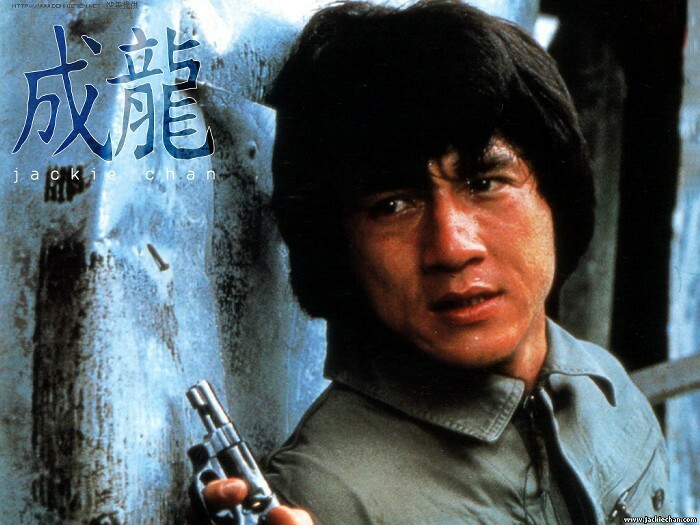 Not only is the action in this film fantastic, but the action sequences seem to get better as the series moves along. 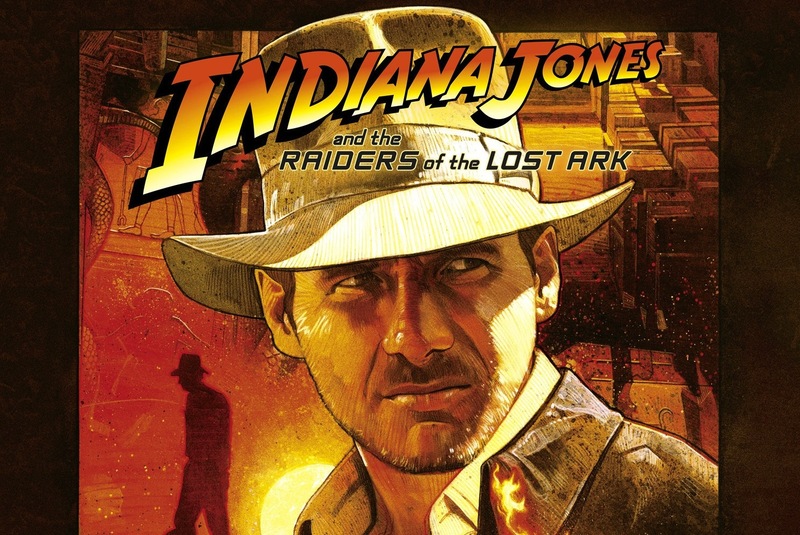 The entire series was directed by Richard Donner for Silver Pictures. 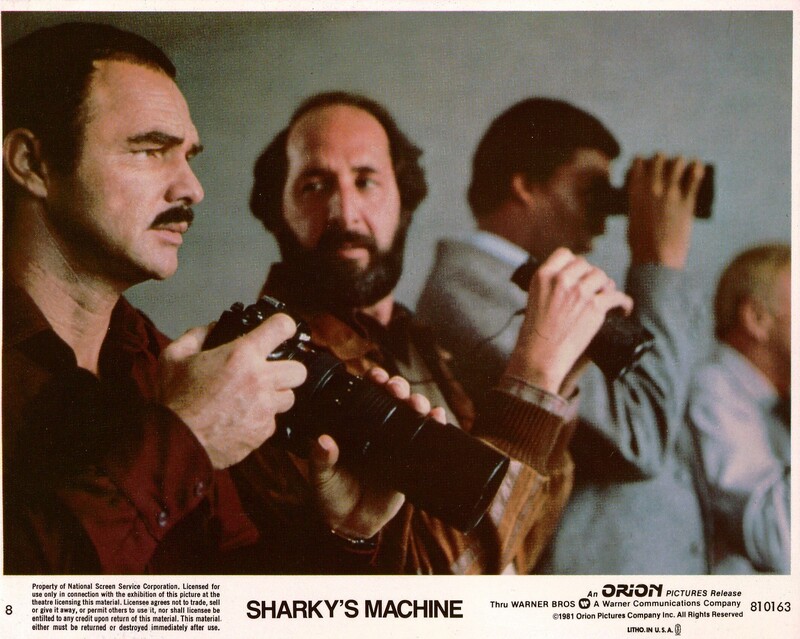 Two things instantly struck me about Sharkey’s Machine (1981); number 1 was that it felt like a remake of the movie Laura (1944), which I loved, because the lead character in each, a detective, falls in love with the murder victim when they are trying to solve the cases only to find the woman they thought were the murder victims, were alive and well. 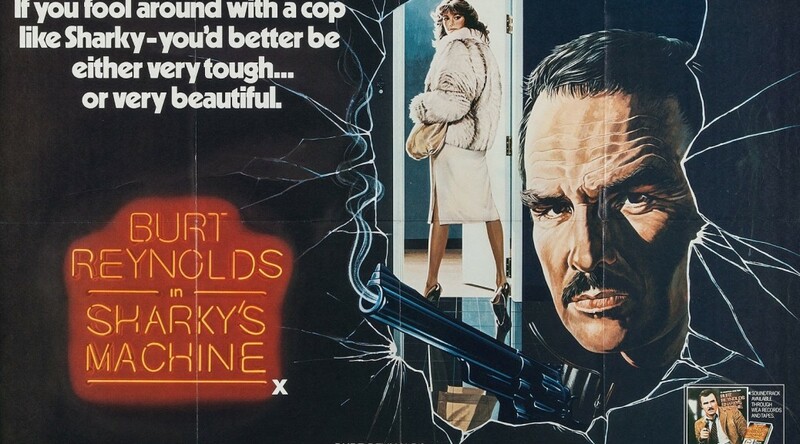 Pretty interesting plot and I felt Sharkey’s Machine had a tone more like a modern day film noir than what Burt Reynolds kept calling “Dirty Harry in Atlanta” in the 80’s. The second thing that struck me is the writer is William Diehl, who would go on to write the incredible movie, Primal Fear (1996) with Richard Gere and an unknown Edward Norton…who was so good in it, he was robbed of an Academy Award! Aaron Stampler is such a devious character, Diehl ended up writing 2 sequels Reign in Hell and Show of Evil (both are good books), and Stampler seems to rank up there with Hannibal Lecter for me as far as evil literary creations go. So now there are some other really great things about this movie, Rachel Ward’s debut for one, Burt Reynolds moody and awesome directing for another, incredible supporting cast with Brian Keith, Charles Durning, Bernie Casey, Henry Silva, Earl Holliman and Richard Libertini and of course who can forget about the incredible high fall by Dar Robinson at the end of the movie! 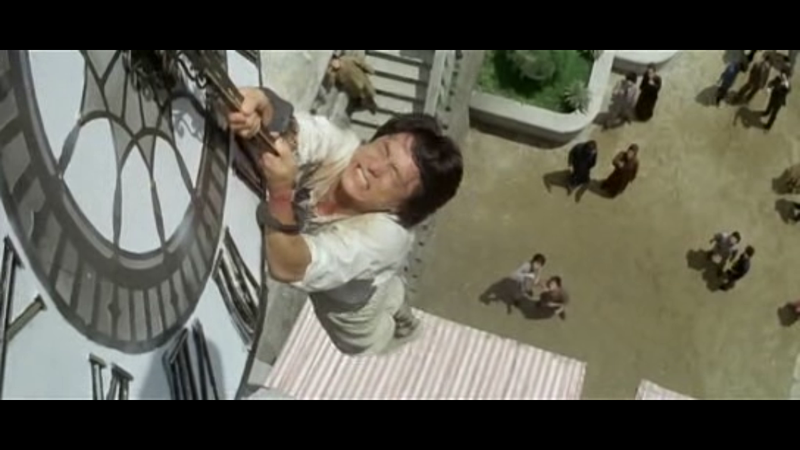 Dar Robinson, doubling for Henry Silva, drops 220 feet into an airbag from the Hyatt Regency Downtown, which at the time was a world record for the highest wireless freefall from a building. 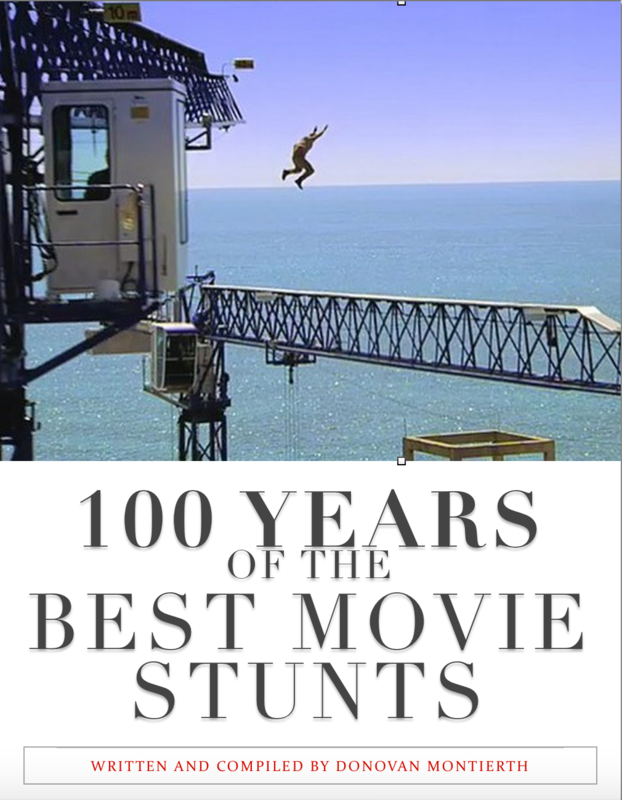 It really is a great stunt, and the behind the scenes stunt footage is really impressive. 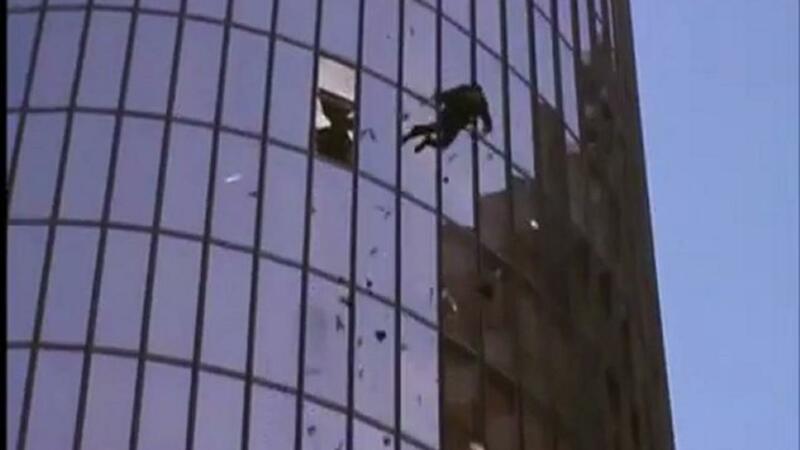 Which is all the more baffling when you watch the movie and halfway through the fall they cut to a long shot of what is obviously a DUMMY falling from the building. Why they didn’t use the whole jump in the movie is beyond me.